Companies using invoice management automation find it most convenient to deal with machine readable invoices, as in the case of electronic invoices the overall process is ultimately streamlined and simplified. However, the majority of invoices that organizations receive are either human readable images (Word, Excel, PDF, etc.) or paper-based documents of various forms. Prior to processing, paper invoices should be turned into images, then their essential information has to be recognized and extracted for further validation and approval. If all necessary attributes are properly presented on paper invoices, high quality Optical or Intelligent Character Recognition technologies successfully capture and read this kind of information. The problem appears when some of the attributes are not clearly indicated or even absent. A vendor company name may not be textually presented on an invoice: it may be replaced with the company logo. OCR technology reads such objects as pictures and does not recognize information implied in them. Such situation seems to be the most probable challenge for the invoice entry process. However, vendor company name is the most essential invoice attribute and it must be obtained. It’s not just a “picture” problem that can hamper invoice data recognition and capture; some textual information may be presented in such a quality, that even a person won’t possibly read it, let alone OCR technology. Also, many other invoice attributes can happen to be omitted, and it’s important to have instruments that could seamlessly provide this missing information. 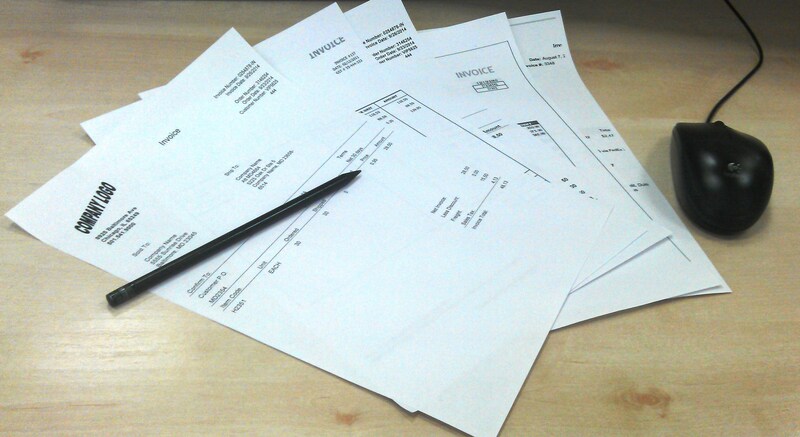 Omitted attributes can cause multiple delays in the invoice approval process, affecting company’s reputation and relationship with vendors. Obviously, organizations find it important to minimize such delays and be ready to solve these problems as quickly as possible. Manual search for missing attributes is rather time-consuming and inefficient. Using software that can provide omitted information is a real rescue for the whole invoice management process. Accounts payable software usability and functionality extend if software is capable to find and provide attributes missing on invoice. Let’s get back to the situation with a company logo placed on an invoice instead of its properly printed textual name. What can intelligent accounts payable software do in this case? It can use available invoice information, address data, for example, to find the company name in the vendor reference. Accounts payable software that is capable to search missing data can also use vendors’ address details to easily find and provide information on the employee responsible for the purchase. This kind of data plays an important role in routing the invoice approval process. Having read the invoice date information and knowing the payment terms specified for this vendor, accounts payable software with extended data search functionality can quickly identify a due date of payment. This feature considerably minimizes possible payment mistakes and decreases potential negative impact on your financial relationship with vendors. Generally speaking, it’s important to understand that OCR technology, even the most advanced and highly developed one, is not a panacea for possible problems related to invoice data entry. Efficient accounts payable software should incorporate necessary functions for invoice attributes recognition. Such functions go beyond OCR technology and involve other aspects of automated invoice processing. Few software vendors can offer such invoice management functionality to their customers, though it seems to be rather helpful for the overall accounts payable process and appears to be indispensable when data extraction and recognition functions cannot prove effective.